According to his enlistment papers Joseph was born on the 20th January 1886 at Longnor, Staffordshire, the son of Isaac (poultry dealer) and Nancy (née Tunnicliff) Riley. In 1901 (Census RG 13/2627) the family were living at Church Street, Longnor, and Joseph had 3 older siblings, John, Mary Anne and Isaac, and a younger brother, Ted. At the time of his enlistment, aged 19 years 9 months, Joseph stood 5 ft. 3½ ins. [1.61 m.] tall and weighed 8 st. 4 lbs. [52.6 kgs.]. By 1911 (Census RG 14/16657) two more sons had been added, Sam and Fred, and they were still living at Church Street, Longnor. Joseph was working on his fathers farm as an "Assistant." However, when Joseph enlisted in November 1915 he gave his occupation as "Engine Cleaner", employed at the Midland Loco Department at Buxton. "Reported Died of Wounds. Sergt, Joseph Riley. Midland Locco, Department, where he was well esteemed by all who knew him. He had seen over 2 years of active service, and was on leave a few weeks ago, during which time he was married. Deceased was only 22 years of age, and was a relative of Mrs Sigley, Oakland Cottages, and will be remembered as a bright cheery youth. The list of those fallen from Fairfield is, alas, becoming of some length." On the 11th March 1922 she received Joseph’s British War & Victory Medals. 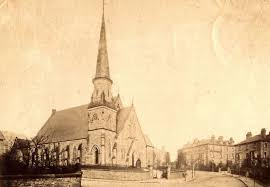 At that time she was living at 28 Nunsfield Road, Fairfield, which is, presumably, why Joseph's name appears on the Fairfield Memorial and the Longnor Memorial, but not the Buxton town Memorial on The Slopes. Joseph originally enlisted in the Sherwood Foresters, in Buxton, on the 9th November 1915. He was posted to the 3rd Battalion, Sherwood Foresters, a depot/training unit, on the 18th February 1916, and embarked for France on the 9th July 1916, joining the 10th Battalion, Sherwood Foresters, "In the Field", the same day. 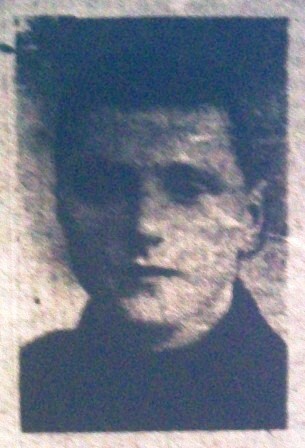 A month later on the 20th August Joseph was promoted to Lance Corporal. The 10th (Service) Battalion had been formed at Derby in September 1914 as part of K2 (Kitchener's Second New Army) and came under orders of the 51st Brigade in the 17th (Northern) Division. The Battalion moved to Winchester in June 1915, in preparation to being posted to France, subsequently landing at Boulogne on the 14th July 1915. On the 2nd/3rd January 1917 Joseph was wounded, suffering gun shot wounds to the leg, neck and right arm. On the 1st January 1917 the Battalion War Diary shows that it was at 'Camp 19 - Carnoy' and that: "Order were received that Bn. Would relieve a Bn. of 2nd Guards Brigade on night of 2/3rd January and that Bn. Would move to Guillemont Camp on night of 1/2nd. The Bn. Were in camp by 4.30 p.m."
The relief started from Camp about 4.00 p.m and marched via Combles. Coys were marched off at 10 minutes intervals. On reaching Combles a duckboard track was taken which led past Battn. H.Q. at (T6 A7.5) and then to the support trench. Mules came up with each Coy carrying water, ammunition & Bombs and were unloaded at Battn H.Q. & the Coys carried on from there. The relief was completed by 7.30 p.m. The dispositions were 'A' Coy on right; 'B' Coy (Right Centre); 'C' Coy (left centre) & 'D' Coy on left. Gum boots were taken in the line but were only used for patrols as the trenches for the most part had duckboards. The time was spent in wiring and improving the trenches as much as possible. Patrols also were sent out each night, who reported the Enemy trenches to be very scantily wired and not continuously. No enemy patrols were encountered. Snipers were not very active. Machine Gun was directed against the trenches only after dark." On the 5th January he was admitted to Hospital in Rouen for treatment to the wound in his neck, and was transferred back to Britain, St Andrew's Hospital. [St. Andrew's Hospital was a former general hospital situated in Dollis Hill in north west London.] He was transferred to the Lord Derby War Hospital, Warrington, where he stayed from the 13th January to the 24th March 1917. 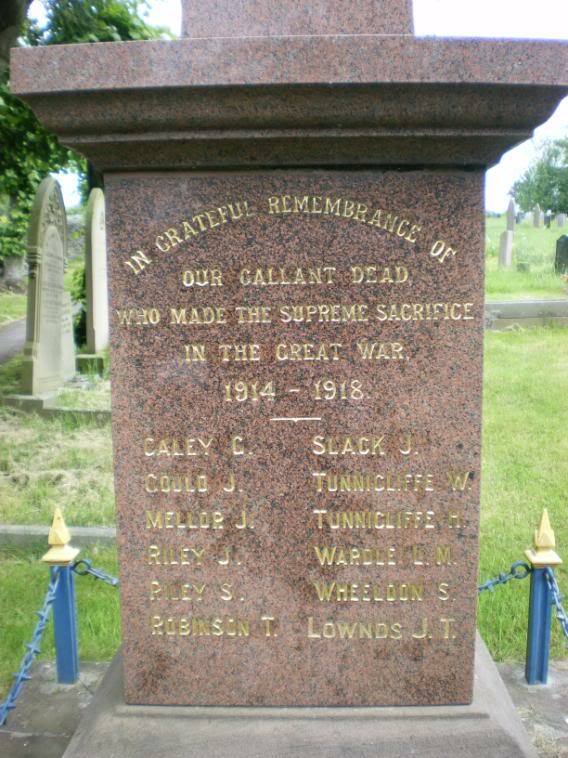 On the 2nd April 1917 Joseph was posted to the 4th (Extra Reserve) Battalion, which was stationed in Sunderland as part of Tyne Garrison, presumably to recuperate somewhat from his wounds. He was not with that Battalion long, however, as on the 17th July he was posted to the 9th Battalion, sailing from Folkestone to Boulogne the next day to join his Battalion. However, he doesn't seem to have joined the ending, but instead was posted to the 2/5th Battalion. More promotions followed, firstly to Lance Corporal on the 18th November and Corporal on the 14th December. The new year brought three admissions to Hospital, suffering from scabies - initially to the 3rd Canadian Stationery Hospital, at Doullens, on the 1st February, before being admitted to the 25th General Hospital at Hardelot on the 8th. His third hospitalisation came on the 31st March 1918, in Calais. On the 24th April 1918 Joseph was again promoted to Lance Sergeant, followed by full Sergeant on the 4th May. On the 31st August 1918 Joseph was posted back to his original Battalion, the 10th, Sherwood Foresters. This was followed by a period of leave from the 20th September to the 4th October 1918 and this was when he married Lily Moody on the 29th September 1918. After rejoining his Battalion Joseph died on the 3th November 1918 from Gun Shot Wounds to the Head, just 8 days before the Armistice. In all he served 2 years 360 days with the Colours and had been married for just 36 days. On Sunday, the 1st November 1918 Joseph's Battalion had been resting at Inchy, training in the morning and a with Roman Catholic Parade Service followed. The following day the 51st Brigade relieved sections of the 62nd and 110th Brigades in support at Poix-du-Nord. The 10th Battalion in particular left Inchy at 16.45 and arrived at Poix-du-Nord at 22.00 to take over from the 1st Wiltshire Battalion, with its H.Q. near the Church. "C.O., Coy Commanders & 1 subaltern of each Coy reconnoitred the assembly positions in the early morning. Battalion moved to assembly positions near Pt. Gaie Farm in evening. … Capt. Kerr died of wounds; 2/Lt. Taylor and R.S.M. wounded. O.R.s - 1 killed, 11 wounded." The Officer named in the Diary was Captain Adam Kerr, aged 35, from Chesterfield, Derbyshire. He now lies alongside Joseph in Grave C.6. of Forest Communal Cemetery. 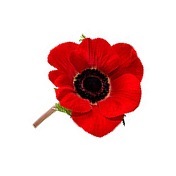 [Three other men of the 10th Battalion were killed on the 3rd November 1918.] No doubt Joseph was one of the: "11 wounded" who subsequently succombed to his injuries. Sergeant 35867 J. Riley is on the Fairfield Memorial, but no Sergeant is included on The Slopes Memorial. He served with the 10th Battalion. · I am grateful to 'The War Graves Photographic Project' for the photo of Joseph's grave. with piecing together Joseph's military history. 'The Buxton Advertiser' 23 November 1918.